ウンと見映えがアップする、キャッチーなモチーフが勢揃い A variation of catchy motif gives you POP and FUN! Once you wear it, you cannot stop wearing it! Upcoming Summer trend is something that provide everyone “WOW!” One magical item changes your day! 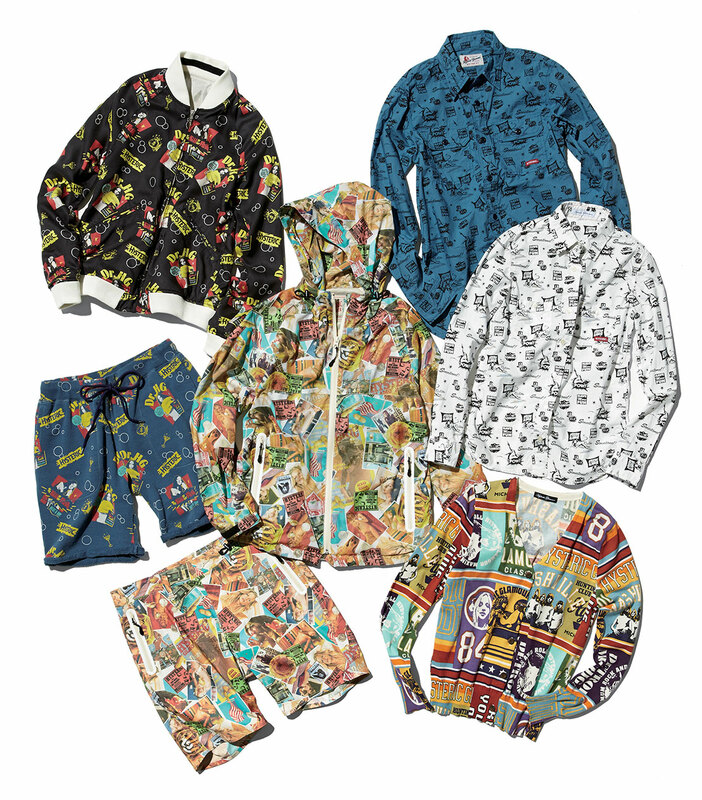 A graphical collage blouson, a zip sweat with a design inspiration of Mick Jagger from “The Rolling Stones,” a rib pants of WOODY WOODPECKER, and other unique design pattern will give you POP and FUN! Don’t forget items featuring mysterious rabbit from JOEY HYSTERIC visual book in 2013 and tops of HYSTERIC BEAR for additional option! 一枚あると何かと便利。いや、初夏には何枚あっても困らないConvenient item for all season! But you might want few more stock for upcoming Summer season. It could be worn as one layered simple style, or also could worn as cardigan style by opening the front button. There are variety of ways to enjoy coordinating shirt in summer season! Maybe you can try rolling up sleeves for arrangement. A beer can motif ink jet printed shirt has relaxing characteristic by using rough look broad cloth and button down collar using interlining cloth. Also, for ‘40s vintage motif work shirt, HYSTERIC GLAMOUR used typewrite cloth to express Summer time freshness. Moreover, a button down shirt with wide multi stripe design, a big silhouette gradation shirt using cotton linen and more designed shirts are lined up for Summer season! ベーシックとは違う、最旬としてのデニムを楽しみ尽くす Enjoy denim with something different from basic, something more trendy. Denim is one of basic items for all time, but it seems like there is a big trend movement of denim that over wraps its standard position. 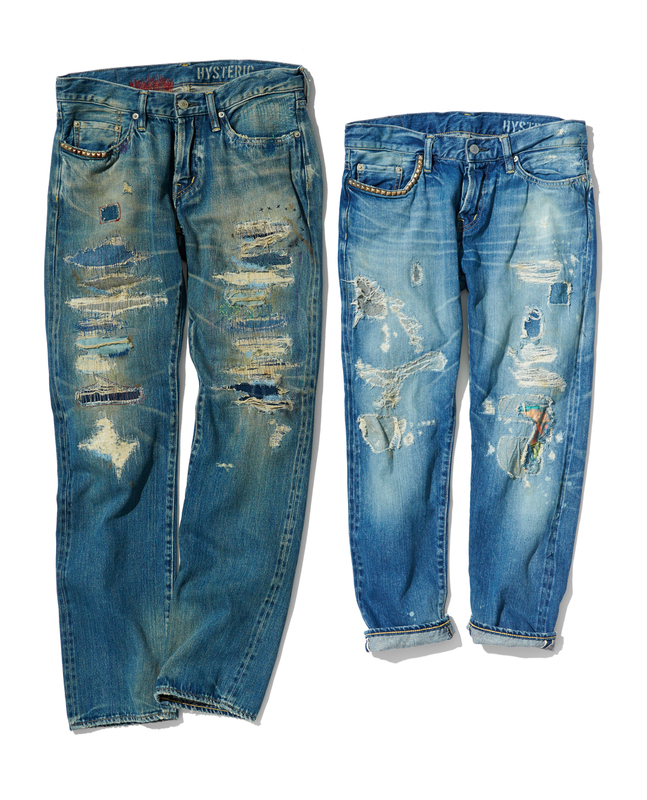 It is up to you to pick denim trend in jacket or pants, but better prepare for the movement! It seems like picking fall and winter material, such as suede in Summer style is a next trend. No need to say, but it is necessary to choose a material that suits each season, therefore, HYSTERIC GLAMOUR has selected following items for Summer season! One of leather materials we picked up is Goat skin suede. Keeping its thinness and suppleness, we have challenged resin treatment for inner leather to enhance strength. A rider’s jacket is one of items featuring our latest suede material and it can be worn as cardigan since it is thin and supple. Also, flared skirt using same material expressed solid silhouette by adding thick yoke and belt tab & buckle for accent. The length of skirt is beautifully cut to match with boots to present mature fashion. 2015 EARLY SUMMER FAIR START !! Starting from Friday, April 17, all HYSTERIC GLAMOUR official shops in Japan will be holding early Summer Fair. 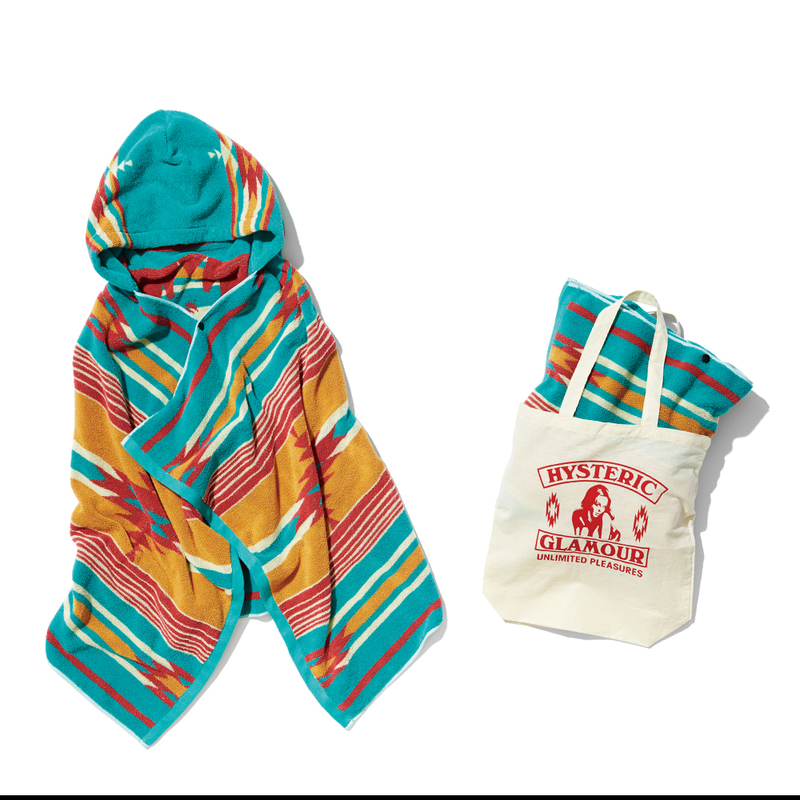 All customers who have purchased over ¥40,000 yen worth of HYSTERIC GLAMOUR items, including ladies, mens and kids have an opportunity to re-ceive special novelty made only for this early Summer season! A collaboration series dramatically started from last year is back! 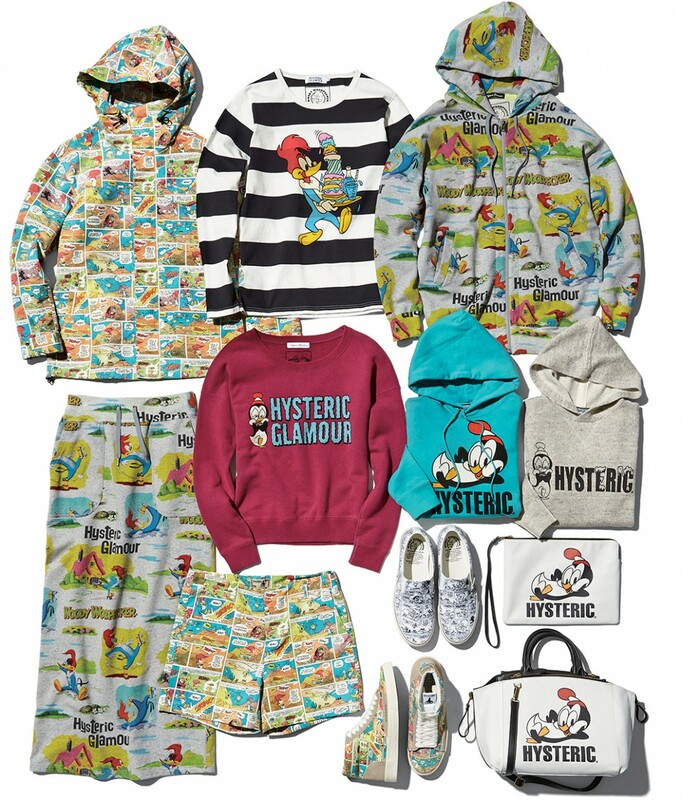 This upcoming season, WOODY WOODPECKER will aggressively break into HYSTERIC GLAMOUR new lineup with new friend! In spite of being a popular character since 75 years ago and still loved by everyone, it is difficult to find vintage apparel featuring WOODYWOODPECKER. From its contradiction, HYSTERIC GLAMOUR dramatically started collaboration and still create big buzz toward American casual fashion by launching the 2nd collaboration project with new friend “CHILLY WILLY.” All items are featuring their unique characters by arranging them big into design. Cut and sewn shirt, sweat items inspired from old sheet and other small items such as sneaker and bag are in collection line up. Better check it out for their new movement! Continue from the previous page, graphical and artistic pattern is one of must check trend for this season. Once you coordinate with basic apparel and items in closet, you will be surprised how it dramatically changes your fashion into seasonal trend style! 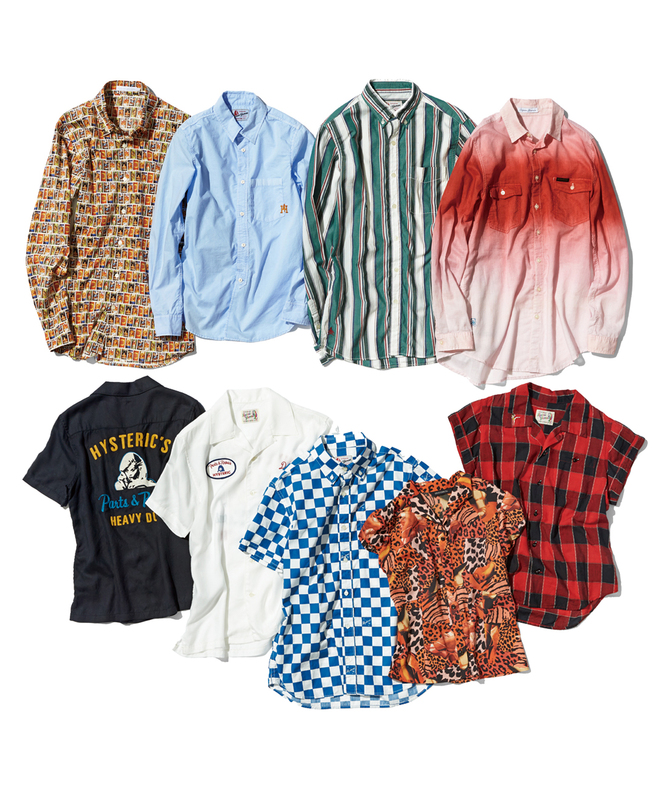 Variety of unique and aggressive patterned items is made by HYSTERIC GLAMOUR since artistic graphics and patterns are brand’s specialty. There are reversible jacket and short pants featuring sweater material for relaxing time and well detailed designed lightweight hoodie jacket made of high density nylon material for happy time. Also for lightweight hoodie jacket, it has functions of wind breaking and zippers to cutoff water to prevent from rainy days. Both items are highly recommended! Furthermore, there are waterproof and stretchable shorts with same design from hoodie jacket and work shirt for men. The women’s cardigan made from long process of printing will give energy to live happy for upcoming season! The collaboration with No.1 authentic American brand with160 years of history became true! It is featuring popular military pattern belt with adding HYSTERIC GLAMOUR design spice to express originality. 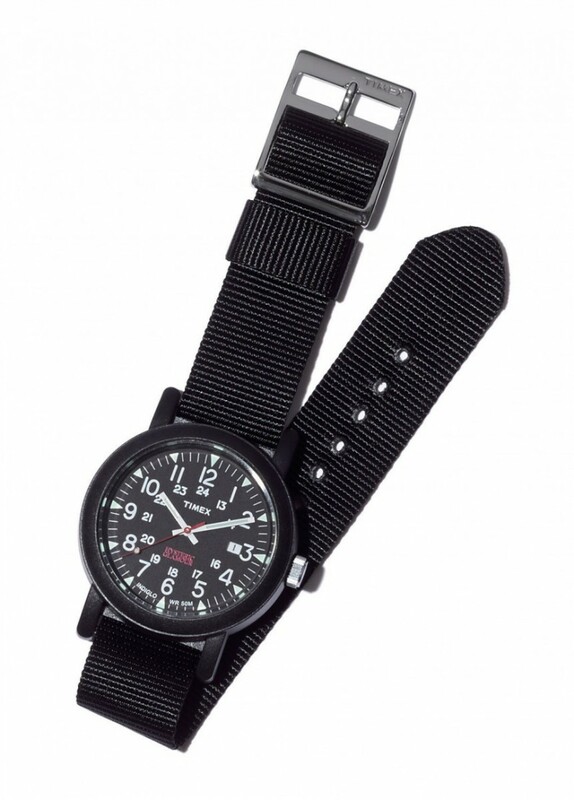 One of traditional models for TIMEX, Camper, is originally used by U.S. Army in 1980s and continuously be loved by many customers. Since it is compact and simple design, not only gentleman, but many ladies tend to pick it as one point accent item. This time, HYSTERIC GLAMOUR has picked bigger size Camper called, ”Oversize Camper” as base silhouette with featuring high spec waterproof and Indiglo night light on face of watch with a logo of HYSTERIC GLAMOUR. Also, it comes with original black NATO type belt and HYSTERIC GLAMOUR original military version as option. Fashion is not only about what you wear. Even if you wear popular clothes and items, it could be ruined by hairstyle, makeup and other parts of the body. Therefore, lets become an ideal person who takes extra care from top to bottom. Like coordinating everyday style, let’s try changing nail art! HYSTERIC GLAMOUR has come up with an idea to select items to support cool and beautiful nail for everyone, especially for ladies. 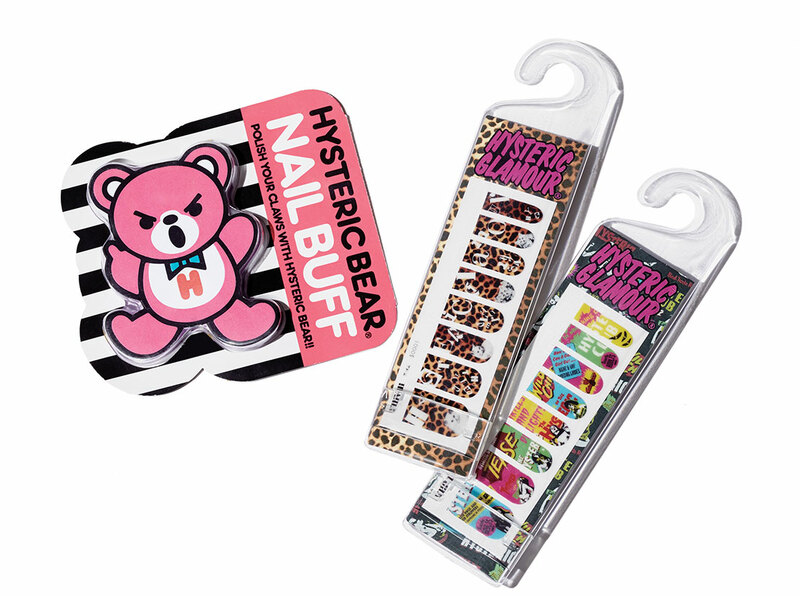 There are original nail buff with a cute icon of HYSTERIC BEAR and variations of original nail sticker to have one step lead from others. The nail stickers are collaboration item of popular nail sticker brand “”VlliVlli.” It is well known as simplicity and easy to take care, so let’s pick one up and enjoy brushing your beauty with easy care! 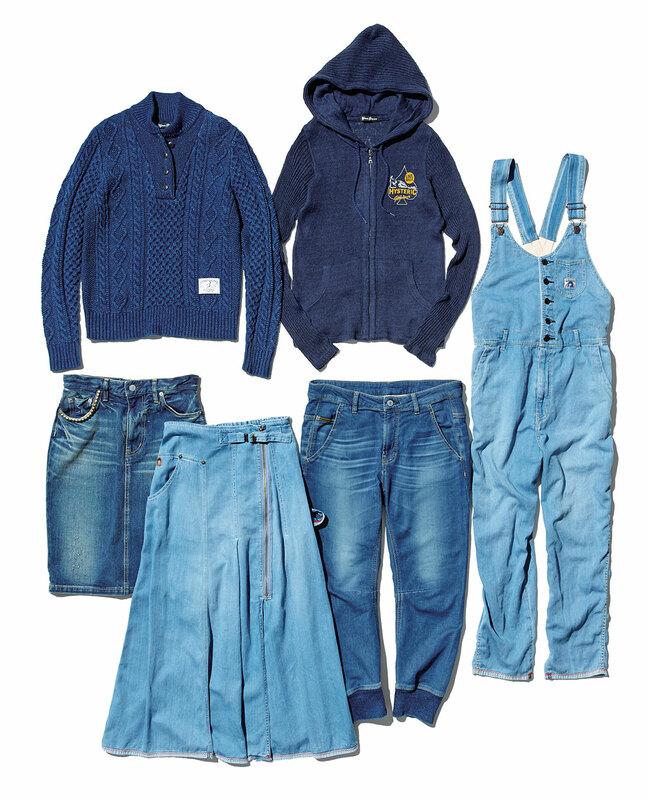 Starting from denim material line up, HYSTERIC GLAMOUR has selected indigo blue color in different materials. One of indigo blue collections is a special ordered cotton sweater from U.K. brand “Original Blues.” Also, indigo blue hoodie features comfortable and easy to dry cotton linen as material, which definitely matches in various scenes. Furthermore, the collection carries a denim material skirt and overalls using premium Supima cotton for pleasant fitting. Deep and refreshing blue has full of attraction, so let’s try coordinating indigo blue from top to bottom!